This excellent report has been professionally converted for accurate flowing-text e-book format reproduction. Successful leadership is not about being tough or soft, but about certain essential leadership principles that every leader must learn, acquire, and develop to become an effective leader. Leaders are made, not born, yet few people make the necessary sacrifices of hard work and commitment to become a successful leader. 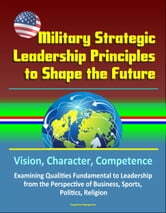 This paper examines strategic leadership principals, along with qualities fundamental to them, from the perspective of business, sports, politics, religion, and the military. 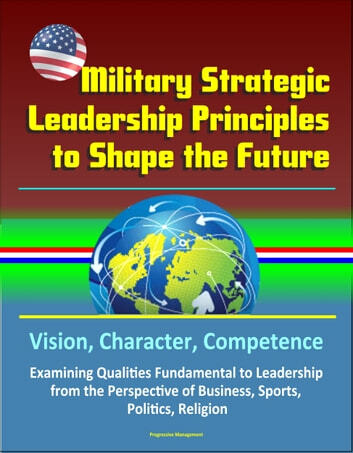 Furthermore, this paper argues the three essential principals of strategic leadership: vision, character, and competency. Vision determines the direction of any organization. Character inspires confidence in the leader and in those he leads. Competency is the ability to say it and do it in such a way that others want to follow. The challenge of effective leadership is to get the best out of one&apos;s subordinates. Vision, character, and competence are the three strategic leadership principles necessary to achieve the mission and shape the future of any organization.